Discussion in 'War Cemeteries & War Memorial Research' started by BereniceUK, Feb 22, 2015. Anyone know whether he died in 1942 or 1943? In St Paul's Church, Witherslack. Grave Reference: Brit. Sec. P. C. 16. Did a search of British nationals armed forces deaths 1796-2005 on Find My Past, there is a Thomas H Hudson registered in 1943 but none in 1942. I don't have a subscription so I haven't seen the image or transcription. enlisted in the RA in 1941, 21 LAA REGT. Resided Kirby in Furness Lancs. Deacs, CL1 and Tricky Dicky like this. Thanks, Guy. 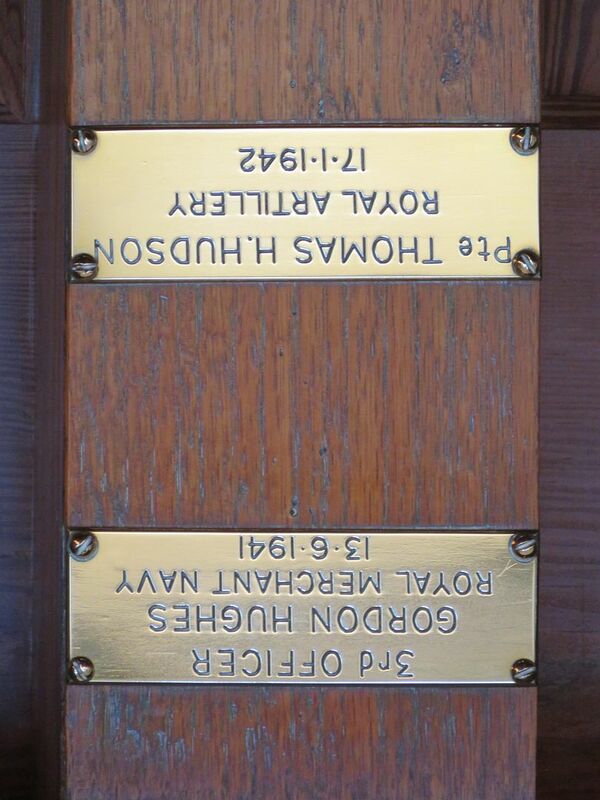 The memorial plaque has it wrong then. Just a thought - if he died at Fukuoka Camp, Malaya, why is he buried at Yokohama War Cemetery? Unless his grave is unknown and he's named on a memorial there. The Malaya reference is misleading as Fukuoka Camp was in Japan. I found this that tells the story of the 21 LAA Regiment, Royal Artillery. They appear to have been captured on Timor. Gnr Hudson is listed in the nominal roll. Ah! Thanks for clearing that up, Guy.